it will be needed as I think chesterfield will be up for the fight, so we better be too. I cannot see anything beyond a goalless draw unfortunately (which means someone will score in the first couple of minutes). It will be a lottery in these weather conditions, I hope it improves before 3.p.m. 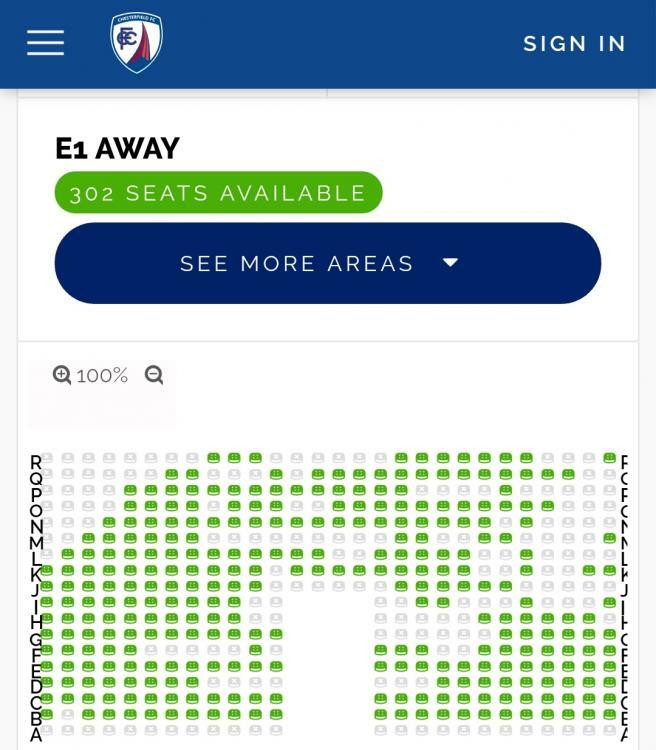 It looks like only a hundred or so tickets sold so far then. How many more are likely to pay on the day? I'll go for a draw. Massively need a win today. Chesterfield are a poor team. Might have a good manager and players “on paper” but their league position and results states clearly they’re a poor side. To be honest we should easy be bringing 500 to this game. Our away support gone poor this season. No Southwell Today and Hanson again not in team. Really not feeling confident but it’s always the ones I don’t feel confident about we win. No Hanson....what is this manager doing?? Surely hes injured, if not then Probably in bottom 2 of that GPS thing JF likes to use. Our best player first half of season, signs permanently and can't get a look in. Simple as.... manager is an idiot..
IMO he should stick to coaching and not managing. Correct....he wouldn't be in our team!!! 0-0 at half time, surprise surprise.